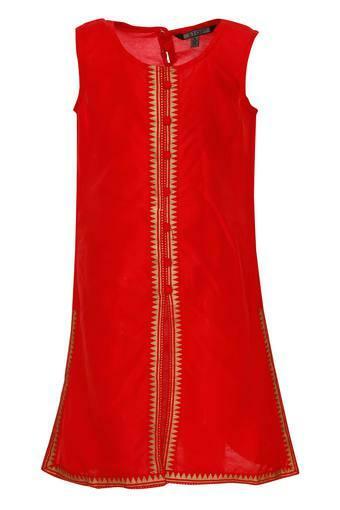 A melange of timeless tradition and contemporary style, this kurta from Stop will be an excellent pick for your daughter. It is sleeveless and features a solid pattern that elevates its overall appeal to a new height. 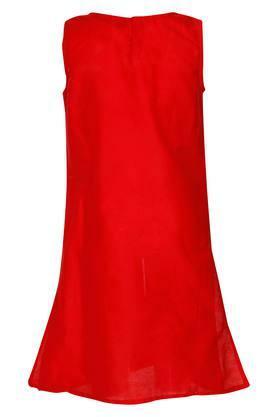 Moreover, it comes with a round neck that adds to its design. 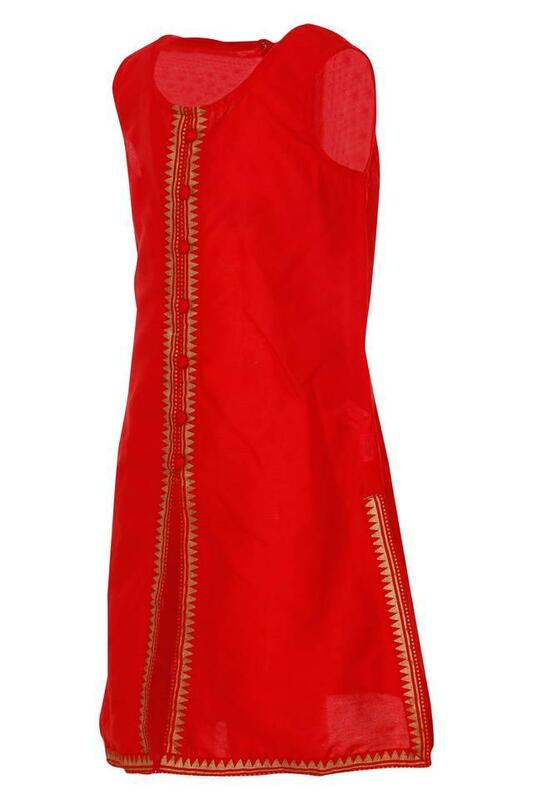 Your daughter will look gorgeous in this sleeveless kurta, which features a solid pattern. For any special occasion, a pair of leggings and mojaris will be its perfect complement.